Hiring and retaining Millennials is an enigma to many hiring leaders. People always ask: “How do you attract them?” “What are they looking for?” “What are they expecting?” Studies and articles are published regularly attempting to answer these questions. While I do not admit to know the precise answer, as a Millennial I can attest to some of the evidence presented as to what we are looking for in a career. When attempting to hire and retain more Millennials there are several things you can do to be competitive. Offer competitive compensation packages. This is a given. All employees expect to be paid a competitive wage, and Millennials are no different. Be flexible. 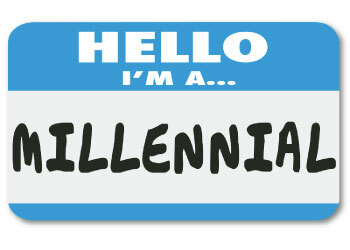 Millennials are creative, skillful and tech-savvy. They appreciate a company that is flexible with where and when they work. As long as the work is good quality, correct and on time there should be no parameters on where it is done. We want a good work-life balance and will appreciate a company that values that. The “normal” 9 to 5 grind is a thing of the past. Don’t get me wrong, we will still work for a company without that flexibility, but in that case it must be a really good fit. This brings me to my next point. Create a meaningful culture. Work is never truly fulfilling until it means something to you. Working towards something that is significant to individuals and society on a larger scale is invaluable. Having a passion for what you do and a belief in what your company stands for is very attractive to new employees. This also creates a positive workplace; one where the employees want to be there and enjoy their work and coworkers. Be transparent. We grew up in the age of technology and information. When we can find answers and share information and ideas instantly, we expect companies to be upfront about who they are and what they represent. We like to be kept up-to-date with what is happening within our departments and the company as a whole. Being able to approach an executive with ease and promoting communication among all levels of employees is appealing and encouraging. Offer opportunities for growth. Just as you are investing in us as an employee, we are investing in you. We invest time and hard work and we want to know that we will be able to grow both personally and professionally. We are eager to learn what it takes to lead. A company that supports personal and professional growth through training and mentoring stands out. Encouraging an employee to move vertically and horizontally within the company gives us that freedom and excitement that we are looking for. Be approachable, be meaningful, make a difference. We want stability in our career choice, but we also need a sense of purpose and a feeling of belonging. While we know that this may not be a lifelong career, we want to learn as much and be as involved as possible while we are there. Taking these points into consideration when looking for and attracting millennials will help give you a competitive edge. Just remember to be as open and honest as possible when describing your company and, most importantly, the role we will be playing within it!